This is great. Direct marketing of the very best kind. 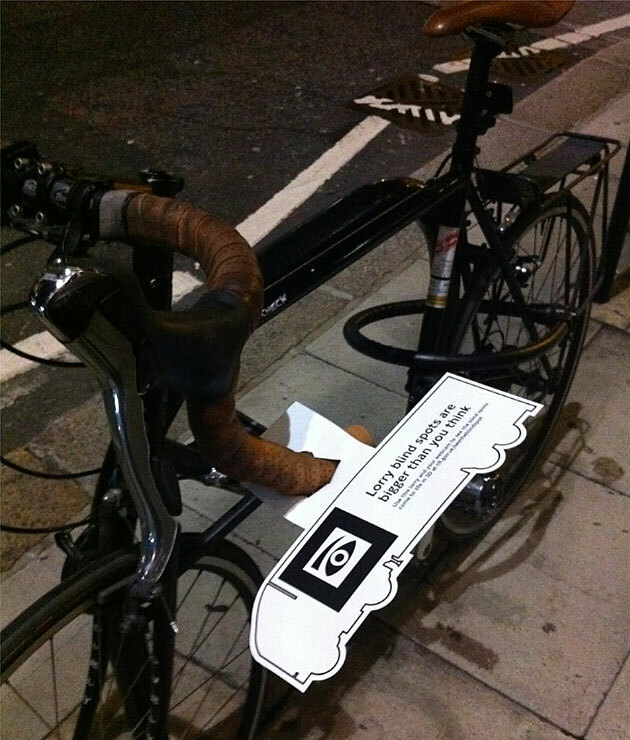 Transport for London have been blitzing bikes in town with these flyers, which slot onto your handlebars. They're printed in a single colour, which is nice and economical, and the stock's been coated so that they don't go soggy if it rains before you return to your bike. And the call to action is dead simple: "Use this lorry and your webcam to see the blind spots come to life in 3D at tfl.gov.uk/seetheblindspot". 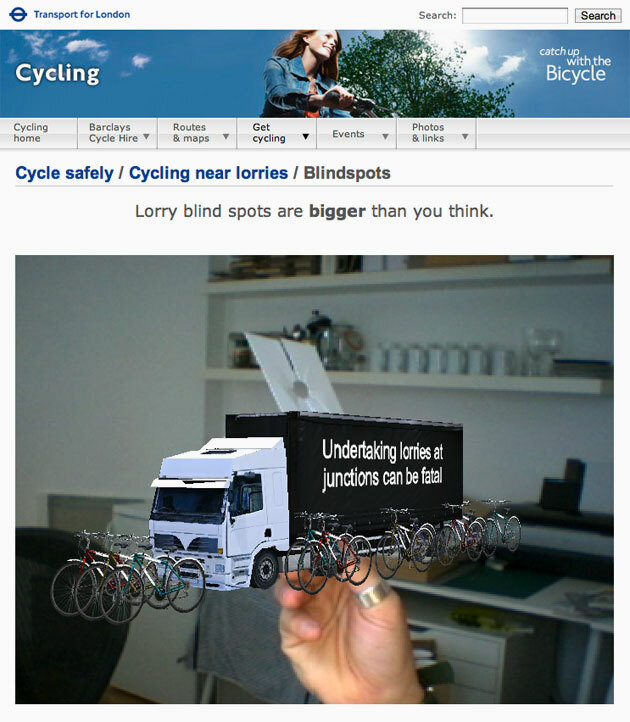 When you hold the flyer up to your webcam (you can print your own flyer out on the site if you don't have one already), it kicks in with a spot of augmented reality, showing a lorry on your screen, which is surrounded by bikes that sit in the lorry's blind spots. You can rotate the flyer / lorry to see the blind spots to both the front and back of the lorry. And at the same time, the key message scrolls onto the side of the lorry. And the wheels turn too!